Type your Saia tracking number below, get live delivery information with our express tracking system. 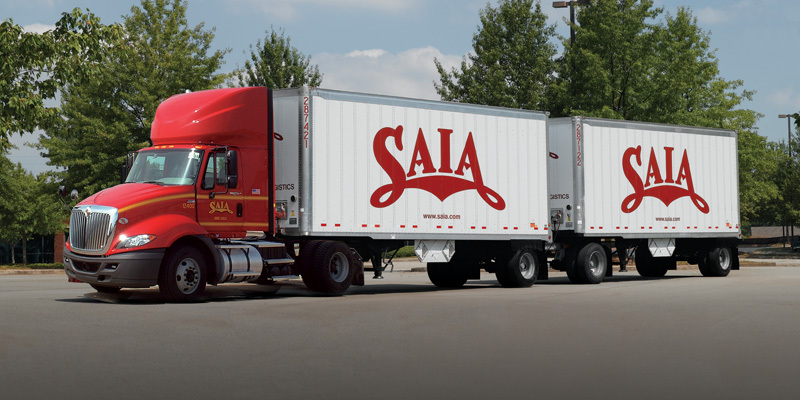 Saia, Inc. (NASDAQ: SAIA) is among the leading regional less-than-truckload (LTL) companies in the United States with revenue exceeding $900 million annually, serving the Midwest, South, Southwest, Pacific Northwest, and Western regions of the United States. North American partner coverage is offered in Alaska, Hawaii, and New England and also extends to Canada, Mexico and Puerto Rico. If you have problem with our express tracking system, please track your package directly on the Saia website. If you get no tracking information from Saia official website, you’d better contact them. If you have shipped through Saia, you will have received a copy of your Waybill. Each waybill has a tracking number which is a 12 digits. SAIA truck on the way. Have no idea about Saia? Read Saia reviews in advance and write a review after sending your package with Saia. If you have problem with our Saia Tracking system, submit your problem here, we will help you as soon as possible. Declare: We can NOT contact carrier or others on your behalf, we can only help you track your package with your Saia tracking number on official tracking system.